If you are serious about selling your Northwest Arkansas home and it has been sitting on the market for a while you are probably becoming concerned. 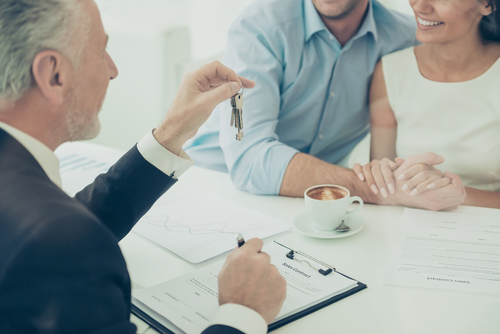 Why is your home not selling? There are several reasons: Price, price, and price. If you are simply testing the market to see how much you can get for your home then, by all means, go through the exercise of being inconvenienced by having to leave your home for showings and open houses, not to mention having strangers walking through your personal space. But if you are serious about selling, even in the sellers’ market, which we have in much of the Los Angeles area right now, pricing still matters. Is your home priced competitively? Pricing the home at market value or a little below is going to get you a quicker sale and maybe even more than you had hoped for. And generally overpricing it will end up netting you less than if it had been priced competitively in the first place. This depends on your price range also. The luxury market is different from the moderate median market and homes in the latter tend to sell a little faster than the former, so overpricing luxury properties is going to result in them just sitting on the market for a while. Take a long look at your competition, both current and recent sales, and compare your home against those. Of course, there are going to be overpriced homes currently for sale, but if you look at how long they have been on the market that should give you a good indication as to whether they are overpriced. Almost everything will sell and quickly at the right price. Your best comps are recently sold homes in the same or similar area. See how long it took them to sell. Check what the original listing price was to see if they had to lower it in order to get the sale. In all categories, homes are selling close to asking. The quicker they sell the more you will get. You know that if your home is not receiving reasonable offers within these timeframes you will need to take a serious look at your pricing. Price your home according to your home’s attributes, or lack of them. You cannot do anything about the location but you can do something about the condition. You can certainly make cosmetic changes to your home and make sure it shows as well as possible, but unless you remodel that kitchen or bathroom that is not going to add value. If you decide to make upgrades in order to justify the price, then do the math. Are you going to get back the money you put in when it sells? If not, aren’t you better off lowering your price to save yourself the trouble and possibly losing money? If you are really serious about selling your home buyers are out there. Attract them with a price they can justify paying.